By Matthew D. Weidner, Attorney At Law, contact information at bottom of page. Q. What are “hard equity”, “hard money” or “private” mortgages? A. These terms refer to non-institutional residential and commercial mortgages which are typically funded by private parties. The mortgages are secured by the equity held in the property against which the mortgage is recorded. Q. What type of borrowers are appropriate for hard equity or hard money mortgages? A. These mortgages are appropriate for many borrowers, including borrowers who have poor credit scores, borrowers who cannot document income and borrowers who do not wish to provide all the documentation required by traditional mortgage sources. The primary consideration in hard money mortgages is the borrower’s equity position. Thus, to qualify for a hard money mortgage, the borrower need only show sufficient equity in the subject property and be able to document the ability to repay the mortgage. Q. What interest rates can a borrower expect to pay for hard equity mortgages? A. Borrowers can expect to pay between 10 and 15 percent interest on money invested and secured by first position mortgages secured against real property. The interest rate, which is determined by the investor, varies depending upon the equity position of the borrower, the borrower’s credit status and the marketability of the property. While these rates are higher than what borrowers with good credit pay, the additional percentage points do not dramatically raise the borrower’s monthly payment. And, while the higher interest rate may not be acceptable to all borrowers, many accept the higher rate as the price to pay for the convenience and other benefits of a hard money mortgage. Q. What are some of the advantages of working with a private money lender? A. Traditional mortgages are usually serviced by large, impersonal institutions. If you’ve been in the mortgage industry for any amount of time you’ve undoubtedly encountered clients who relate horror stories of institutions losing payments, sending incorrect notices, failing to update files, failing to make exceptions for a borrower’s unique situation, then aggressively pushing borrowers into default. Compare this situation with private money lending which is characterized by a one-on-one relationship with a (usually local) private individual who is just a phone call away. Many borrowers prefer the personal relationship and attention which is characteristic of private money lending. Q. What is the typical length of a hard money loan? A. The majority of hard money loans are taken out for a five year term, however, as with all other terms, the period is negotiable. And, while the note does contain a fixed balloon date, the borrower can always refinance if a better rate can be obtained elsewhere. Q. What are the typical pre-payment penalty terms? A. Most hard money notes contain prepayment penalties of 3% first year, 2% second year, 1% third year. As with all other terms, this is negotiable. Q. How long does it take to close and fund a hard money mortgage? A. A hard money mortgage can be closed and funded very quickly, subject of course, to applicable waiting periods. This is the case because an investor need only determine that a borrower has sufficient equity in a subject property and that the borrower can repay the loan in order to make a funding decision. Once the determination is made to fund a loan, it can be closed as soon as the party’s schedules permit. Q. What type of documentation is required to process a hard money mortgage? A. In most cases, the only documentation that is required to process a hard money mortgage is a completed 1003 Uniform Residential Loan Application. From that application, the investor can determine the value of the property, the borrower’s equity position and confirm their ability to repay the mortgage. Unlike traditional loan sources that require tax returns, bank statements, credit reports and other documentation, these types of mortgages do not require such documentation, which is why they are sometimes also referred to as “no doc” mortgages. Mr. Weidner practices civil litigation and real estate law statewide out of offices in St. Petersburg, Florida. Mr. Weidner is admitted to the Florida Bar and is admitted to practice in Federal Court, the Middle District of Florida and the Federal 11th Circuit Court of Appeals in Atlanta, Georgia. Q. What is the Yield? A. 11 to 14 % p.a. is the usual yield, but some mortgages do have higher yields. Q. What is the Investment Term? A. The term of the loan is up to you. Some loans go out to 15 years, but many have a three year term or less. This is your choice. A. Mortgage loans are rated among the SAFEST investments you can make. That’s why home interest rates are so much lower than credit cards rates. Private money loans typically are based on the value of the real estate itself, as much as the individual borrower’s credit. Q. Is the Investment Liquid? A. Your mortgage is less liquid than a stock or bond. We recommend only investing money you won’t need back in a hurry. But if you want to turn your incoming payments to cash, just advertise the loan on this site. Q. How much do you need to Invest? A. Most mortgages are from $10,000 to $50,000. You and only you own the mortgage. You are in complete control. The closing should take place either at a title company or at your attorney’s office. It’s your choice. Of course, you should get title insurance, an independent property appraisal and other pertinent documents needed. Your check should go directly to the Title Company or your attorney. Q. Is it a hassle? A. You get your money quickest and have most control when you receive the checks yourself. But if you prefer you don’t even have to collect the payments or contact the borrower. 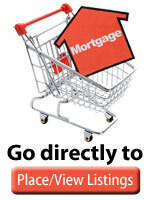 Your mortgage can be set it up for collection by you with a collection firm or your bank. Q. How about IRAS and other Retirement Programs? A. This is a great investment for your Pension Plan or self-directed IRA. The following is an example of how your money will increase so much faster by just letting it compound at a higher rate. Don’t forget, if you use your Pension Plan or IRA your income is tax deferred and can compound much faster with no taxes to pay. A. Be aware of the meaning of Loan to Value. The greater the Loan to Value the riskier the loan, other things being equal. Loan to Value is the percentage of the loan to the property value. Thus an $80,000 loan against a property worth $100,000 has an 80% LTV. Most lenders agree that you require a lower LTV on certain types of loan. The least risky loans are to homeowners in their own home, followed by second homes, rental properties, commercial properties then vacant land. Many lenders will only lend 50% or less of the value of vacant land. Many lenders also will not lend to corporations or trusts. We recommend that if you do lend to either of these entities you require a larger cash down-payment and/or a lower LTV. We recommend you ALWAYS insist on a Borrower being personally responsible on the note.